Experienced Investors typically know that different investments perform in different ways at different times. We help match your investment needs with the right asset allocation to help work towards your financial goals. In any investment strategy, diversification and asset allocation are paramount to achieving the most efficient risk vs. return balance. We use fundamental analysis, as well as other quantitative measures so that your portfolio performs optimally based on your goals, values, and needs. Investing in the right asset class with basic diversification is simply not enough anymore. We help craft customized portfolios in conjunction with your financial plan to help ensure that your financial needs are met with the least amount of investment risk necessary. Liquidity is important in any sound investment strategy. We will develop a plan that will seek to balance your need for immediate access, along with your desire for long-term growth. The minimization of tax burden is important in order to keep more of your investment returns. We will design your investment plan to leverage your taxable and non-taxable accounts as effectively as possible, coordinating with your tax attorney or CPA if necessary. In any investment strategy, diversification and asset allocation are paramount to achieving the most efficient risk vs. return balance. We will use fundamental analysis, as well as other quantitative measures so that your portfolio strategy is designed carefully, based on your goals. *No strategy assures success or protects against loss. There is no guarantee that a diversified portfolio will enhance overall returns or outperform a non-diversified portfolio. 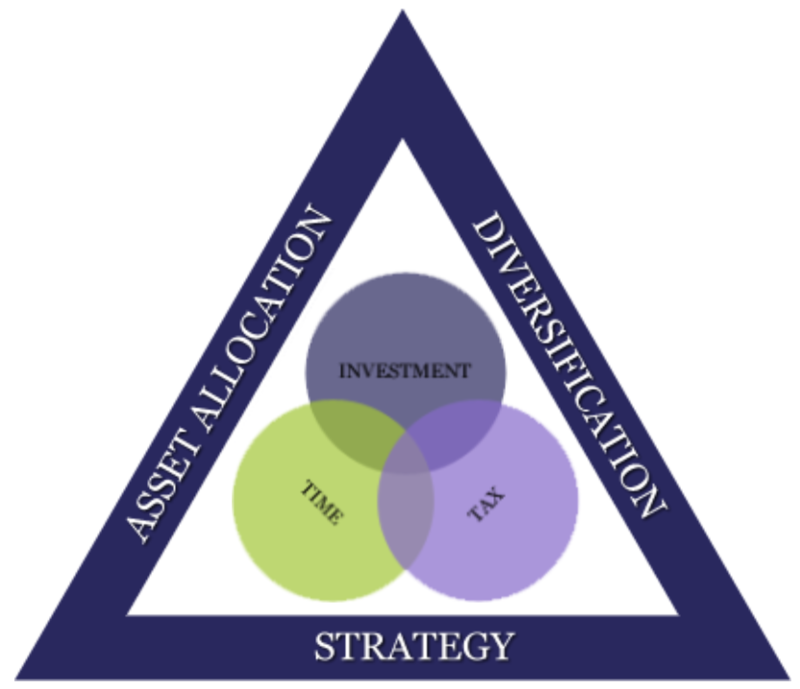 Diversification and asset allocation do not protect against market risk.